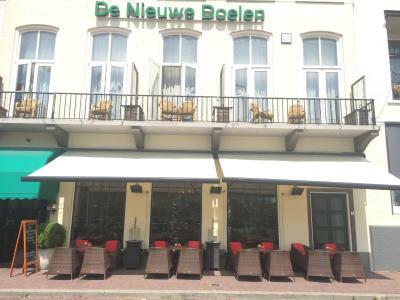 Lock in a great price for Hotel De Nieuwe Doelen – rated 8.2 by recent guests! 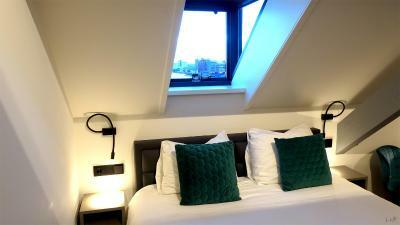 Staff was friendly and helpful, breakfast was very good, the room was very clean, and the view was great! 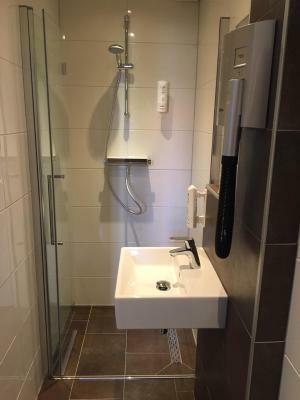 Very close to the train station and easy walk to everything else. Staff is always friendly and helpful. Rooms are quiet, beds are comfortable, have always had a good night sleep. 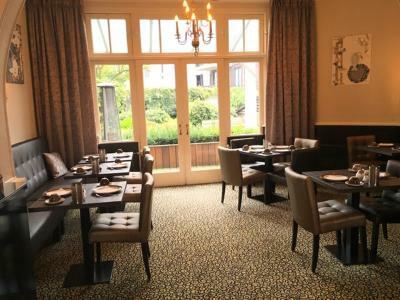 The breakfast comes with the stay price and is always great. They will also put together a lunch to take with you if you’ll be out for the day. 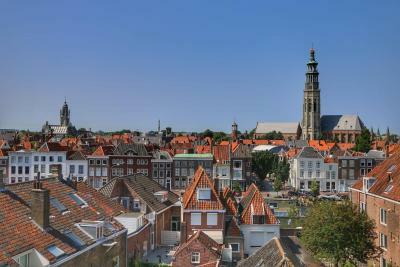 I stay here every time I visit Middelburg, 3 time over 8 years and the Hotel and staff have been consistently wonderful. Friendly, helpful staff with very good English. Very large room. Comfy bed. 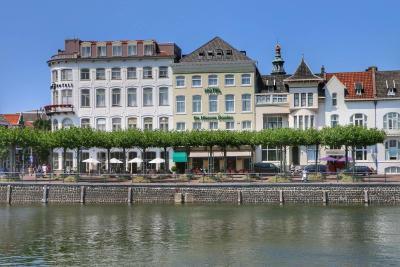 Quirky layout of hotel. Peaceful terrace out the back. Handy for the train station. 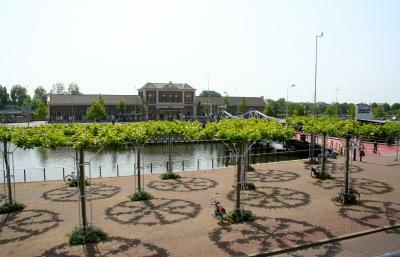 Overlooks the canal. Parking for 24 hours is a reasonable 10 euro approx. a few tens of metres away. This property was close to the center of town, easy walking distance. The bathroom was huge as was the rooms. With the high ceilings, the room felt so large. My husband and I joked that because of the high ceilings and large room size, they should have put in a large screen tv. The breakfast in the morning was outstanding, one of the best we had in our 2 weeks in Europe. Very friendly staff. Rooms are very comfortable and warm. 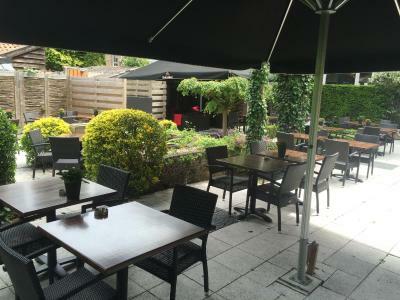 The hotel has a very welcoming atmosphere and is very good value for money. The bar in the hotel is very nice. In the evening they have some small snacks for free. Great music. Atmosfeer is relaxing. Would go back for that. 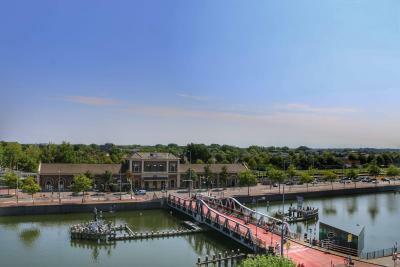 The location is perfect and we had a nice view from the balcony. A very friendly staff in the bar ! Staff was very polite. Super breakfast. Good value for money. I had a lovely nights sleep, the bed was so comfortable. 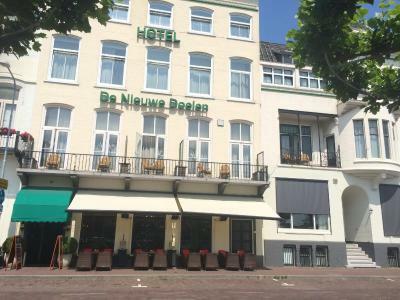 Hotel De Nieuwe Doelen This rating is a reflection of how the property compares to the industry standard when it comes to price, facilities and services available. It's based on a self-evaluation by the property. Use this rating to help choose your stay! 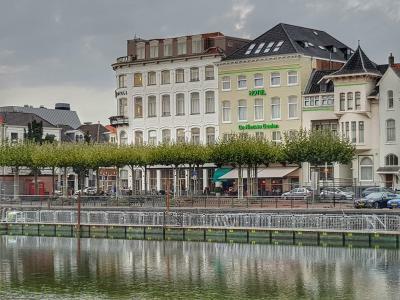 One of our top picks in Middelburg.This friendly, homey hotel offers elegant rooms and suites in the historic center of town, near the train station. 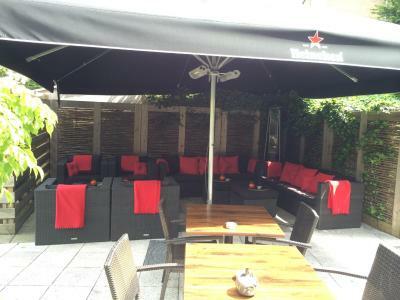 It feature free Wi-Fi, a terrace and comfortable lounge. 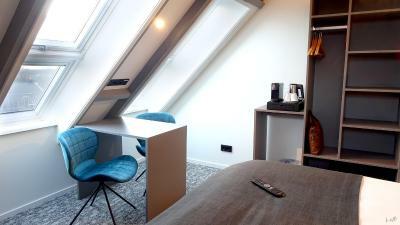 Each of the rooms at Nieuwe Doelen includes a flat-screen TV. Guests can start each morning with a rich breakfast buffet in the dining room. 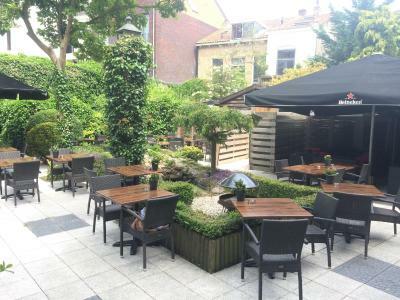 Hotel De Nieuwe Doelen provides a convenient base in the center of Middelburg, in the very heart of the island of Walcheren. 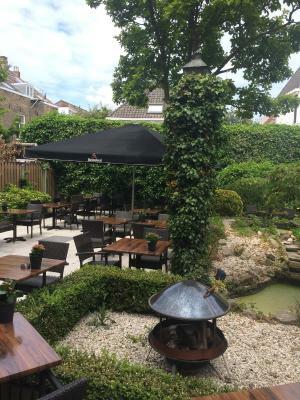 Vlissingen is a 15-minute car ride away. 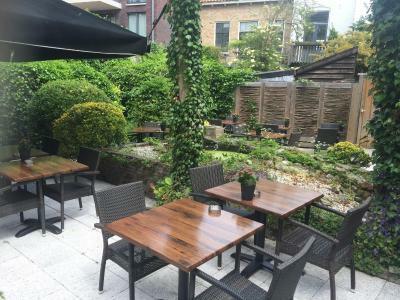 Weather permitting, the terrace is nice for having breakfast or a refreshing drink. 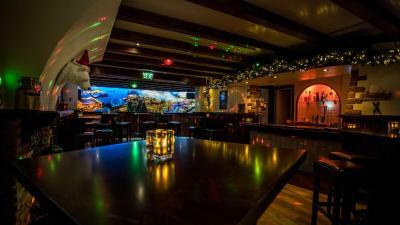 The bar provides an intimate and informal atmosphere for a chat and a drink. When would you like to stay at Hotel De Nieuwe Doelen? 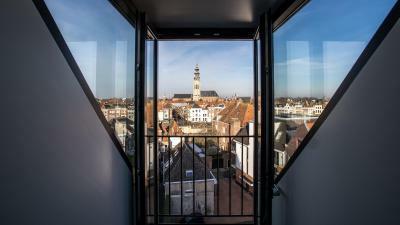 This room features views over Middelburg and the "Lange Jan". 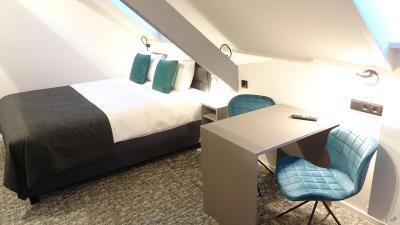 This room comes with 1 double bed. This spacious room features views of the Walcheren canal or over the garden, Middelburg and the "Lange Jan." It also has box-spring beds. 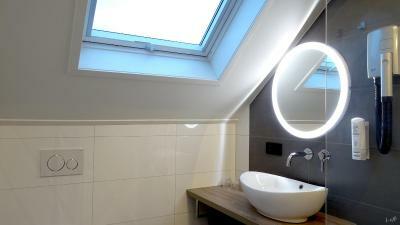 The large suite has a spa bathtub, a separate sitting area and balcony. 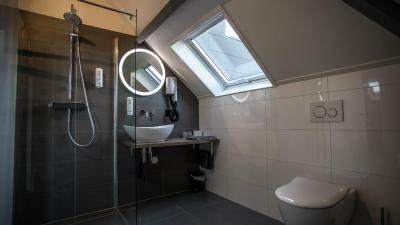 This room features a private bathroom with a shower and toilet. This family room has 2 double beds. 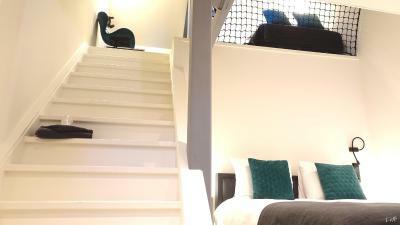 This spacious room is furnished with box-spring beds and has a balcony with a sitting area. 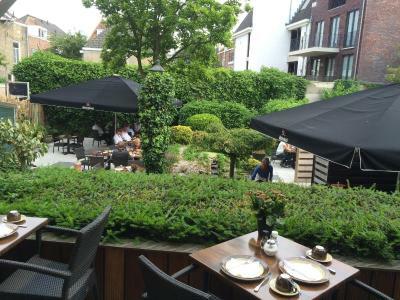 At the front of the hotel, the rooms feature views of the Walcheren canal while the rooms at the back overlook the garden, Middelburg and the "Lange Jan."
This room is furnished with box-spring beds and has a balcony with a seating area. 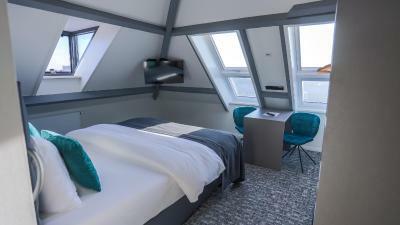 The room features views over the Walcheren canal. 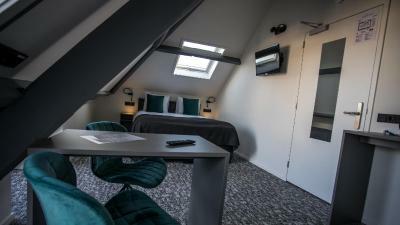 This room features views over the Walcheren canal or over the garden, Middelburg and the "Lange Jan". 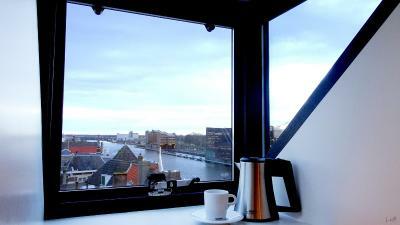 This room is located on the 4th floor and features views over the Walcheren canal. 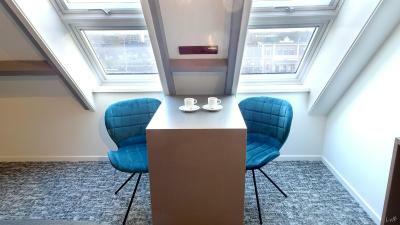 It was renovated in 2018 and it includes a Nespresso machine and tea making facilities. 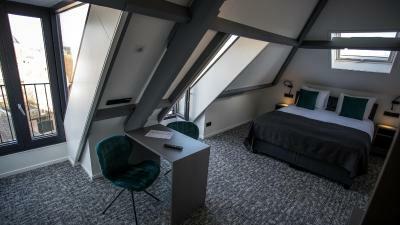 This room is located on the 4th floor and features views over the garden, Middelburg, the "Lange Jan" and Walcheren. 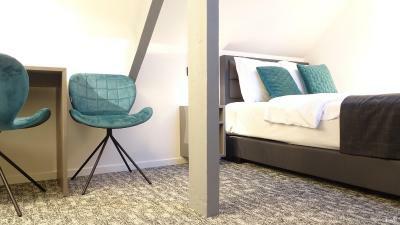 It was renovated in 2018 and it includes a Nespresso machine and tea making facilities. 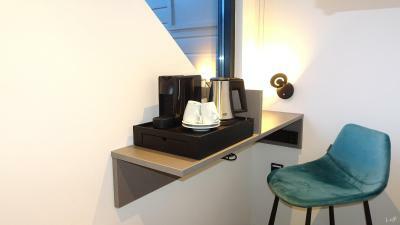 House Rules Hotel De Nieuwe Doelen takes special requests – add in the next step! ATM card Hotel De Nieuwe Doelen accepts these cards and reserves the right to temporarily hold an amount prior to arrival. 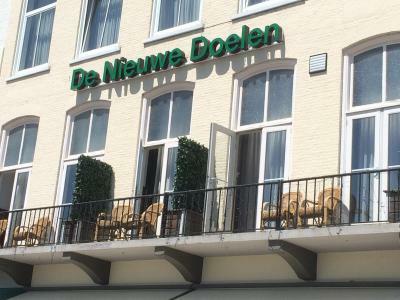 Hotel De Nieuwe Doelen accepts these cards and reserves the right to temporarily hold an amount prior to arrival. 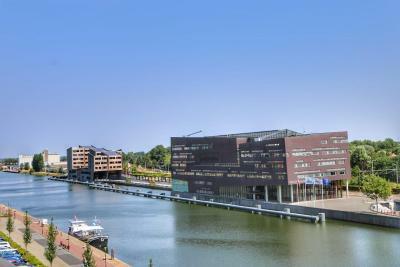 Guests are kindly requested to pick up parking ticket at the reception desk upon arrival for a discounted parking rate. Normally, parking costs EUR 2.10 per hour. 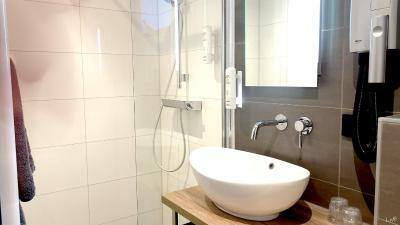 The water/shower in the room has a slight odor as well as the carpets. Pricing was higher than expected but hotels in the area were booked up. We had seperate beds. We didn’t like that. The room had a terrible smell, coming from pipes. The host was great, made us feel very welcome and the added show from the parrot was a bonus! The whole experience from the food to the bar. Nice touch of a free selection on nibbles from cheese, meats, nuts etc. I didn't know quite what to expect, as I booked this hotel on spec, but was very pleasantly surprised. 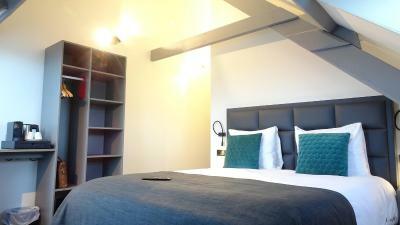 The staff were all very friendly and helpful, the rooms were clean, warm and comfortable and the hotel has loads of character! Despite the lack of a restaurant for dinner, the bar snacks were really good and there is an excellent bistro next door. which we frequented on both nights of our stay. 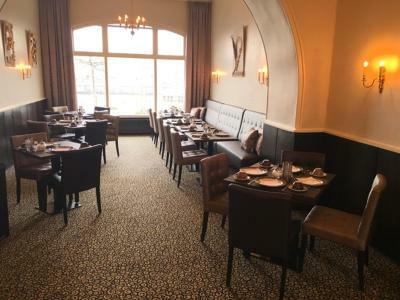 We needed to visit University College Roosevelt and were pleasantly surprised at how easy it was to get around Middelburg on foot and how conveniently placed this hotel was for our requirements. I would definitely go back for a mini break and would use this hotel again!